Great Notley 10th hosted Great Bardfield 9th with the away side winning 3-6 to move up to 8th place. Great Notley’s goal scorers were Ross Beckwith, Jamie Edwards & Sam Edwards and Great Bardfield’s goal scorers were Matthew Potter 2, Karl Manning, Connor Hopkins, Adam Daniels & George Sheath. Onley Arms 8th hosted Witham Nomads 6th with the away side winning 1-2. Onley Arms goal scorer was Luke Hammond 1 and Witham Nomads goal scorers were Joseph Gibbons & James Ambrose. Panfield Bell 5th hosted Notley 10th and won 3-0 and move up to 4th place. Panfield Bell’s goal scorers were Sam Smith 2 & Ben Parker. Sporting 77 2nd hosted Braintree Legends 4th and won 5-2 and move 3 points of the top of the table into 2nd place. Sporting 77’s goal scorers were Charlie Luxton, Thom Scotting 3 & Jack McIntyre and Braintree Legends goal scorers were Rusu Robert Constantin and Wes Swann. Despite being down to 10 men after 20minutes, with the score at 1-1, Sporting 77 put in a performance which was built on hard work to record a fantastic victory against the previously unbeaten Braintree Legends. Finchingfield Rovers 7th hosted Tolleshunt Knight Eagles 9th and won 3-2 and move up to 5th place. Finchingfield Rovers goal scorers were Jack Lander, Joe McDermott, Aaron Hepworth and Tolleshunt Knight Eagles goal scorer was Jake Melia 2. Witham Phoenix 10th hosted Heybridge Harriers 3rd with the away side winning 1-6 and they stay 3rd. Witham Phoenix’s goal scorer was James Wade and Heybridge Harriers goal scorers were Evan Davis, Dan Parish, James Parish and Stuart French 3. Witham Town 8th hosted Witham White Horse 4th and the home side won 5-0 to move up to 4th place. Witham Town’s goal scorers were Jack Stoneham, Tommy Hayes, Ky Richardson, Ryan McCormack and Shane Lindsell. Flitch United hosted CFC Shalford with the away side winning 3-1 and move into the semi finals. Flitch United’s goal scorer was Billy Skinner and CFC Shalford’s goal scorers were Tyrone White 2 & Ed Foy. Great Bradfords hosted Nags Head Celtic with the away side winning 6-1 to move in to the semi finals. Great Bradfords goal scorer was Josh Preston 1 and Nags Head Celtic’s goal scorers were Rory Bone 3, Pete Falco, Matt Knowles & an OG. Witham United hosted Bocking Social and the home side won 5-2 after extra time (2-2 FT) to move into the semi finals. Witham United’s goal scorers were S. Barrett 2, R. Leftly, C. Knightsbridge & L. Curtis and Bocking Social’s goal scorers were Scott Kemp & Mike Davis. Notley travelled to Newbury park to face Masterman in the county cup 3rd round after going one down Matthew Weston made it level to take the game into extra time and with 2 minutes left Liam Pettitt struck the winner to prevent the dreaded penalty shoot out Notley now travel to Thurrock for the next round. 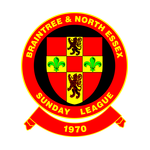 Braintree Iron continued with their progress in the Essex Sunday Premier Cup with a 2 – 4 away win at Wickford Town. Despite a delayed kick off and circumstances and arrangements for the game being less than ideal the Iron were simply too good on the day and are delighted to fly the flag for BNESL in this competition. The Amber and Blacks goalscorers were Lewis Soraf and Kieron Dodge most definitely and a couple that could go down as own goals but are at present credited to Jordan Miller from a throw in and Sam Jones who bribed the secretary to say he got a touch ! The dubious goals panel and VAR needed to sort these matters ! The Manager could not split the Iron’s back 3 in the nomination for MOTM so Luke Frisby, Daniel Norris and Jamie Gray share the accolade. The Iron squad was bolstered by a solid debut from Pete Junior Musto who showed some nice touches and will be a vital addition with our fixtures beginning to pile up.